It'll be my birthday months from now and I am turning 33...yes, you've read that right..33! It's not I don't want to get old...it's inevitable. But if only I could look younger as I grow older, that would be great! Who wouldn't want that, anyway!? Besides, it's possible and I know someone who's like that...getting younger looking as the years go by. She calls it a curse, of course she's kidding. To be like that isn't really a curse, but a gift! So when I was asked by our friends from Estee Lauder if I want to take part in the "Look Younger on Your Next Birthday" challenge...I immediately said yes! Estee Lauder has been a part of my skincare regimen for months now (I'm using their Cyberwhite serum & sunblock) so I know I'll be in good hands. The challenge is to use their most famous product, the Advanced Night Repair, for 4 weeks to prove that after 30 years, it is still the first and the best anti-aging product in the market. 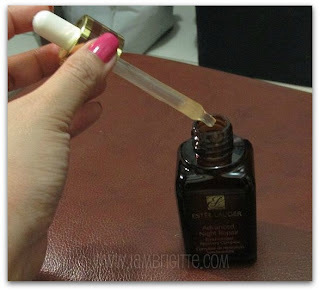 It's been 30 years since this iconic "little brown bottle" with a dropper made it to the market. The packaging was made that way to reinforce the product's serious skin care sentiment. And though it doesn't look "modern" like the other beauty products available of today, women around the world continue to love this product as it helps them stop the hands of time. I love how it instantly gives me brighter skin as it calms the redness on my face. The serum is easily absorbed and I wake up in the morning with brighter, tight (but not dry) feeling on my face. No wonder why many women around the world has been using this for years. It was also said that approximately 7 bottles of this magical serum is being sold every minute. WHOA! Now, I really want to give myself a good kick since this product is not really new to me at all. 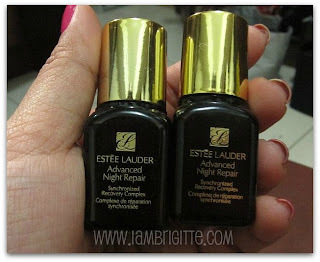 Actually, I got myself the ANR eye cream some time ago and I got sample bottles of this but never really got to use it. I dunno, maybe it's because new stuff always come out and I'm always eager to check them out rather than take my chance on stuff that has been tested and raved by many. As part of the challenge, I'll be documenting my progress as I continue to use this product as part of my skincare regimen. I'd still be using my Obagi toner at night, followed by this then moisturizer. For moisturizer, I alternate between Clinique DDM and Clinique Youth Surge night cream. For my day regimen, I still use Obagi toner, followed by Obagi Exfoderm then sunblock. But it doesn't end there, my dearies...our friends from Estee Lauder is giving away ONE full-sized bottle of ANR to ONE of my readers. Comment with your name and email address and tell me why you deserve to win and why do you want to look younger on your next birthday. Of course it'll be fun to know when your birthday would be too! Who knows, we might be having it on the same day! Contest is open to Philippine readers only, but my international readers can also share their experience on this wonderful product. It can help me and those who will be joining to know what to expect. Contest ends on Feb 13, 2012 and the one with the most tear-jerking comment wins! Hehehe, kidding...just be sincere with your comment and tell me why you really want to win. I can't mention her age because she might kill me for that but I'm turning 33 this year, so go figure :) Maybe I should also include guessing my mom's age in the contest? LOL! She's an avid user of ANR and she loves how it gives her supple, glowing skin all these years. So yes, I want to look as great as her when I reach that age...and maybe you would love that too! Join the contest now and let's look younger on our next birthday, shall we!? I am turning 40 in May and I am also planning to go back to school in June to pursue a lifelong dream. I would like to look younger by my next birthday because i'm sure my classmates would be mostly half my age! Going back to school at my age is already a challenge by itself, so I could use all the help i can get. Looking younger would definitely boost my confidence! I just turned 29 last January 7. I deserve to win this ANR as a birthday gift for myself. Aside from that, I'm a SAHM and I always budget the money that I get from my husband so I have to buy cheaper brands for my beauty and skin care regimen. Since Estee Lauder is a well-known brand, I consider their products as high-end. If ever I win this bottle of ANR, this will be my first expensive skin care product to date. I want to look younger on my next birthday because it will boost my self-esteem and confidence in dealing with other people. I'm a shy type of person and whenever someone teases me of my flaws, I end up stressed and disappointed. Looking younger than your age only shows how you take good care of yourself inside and out. i forgot to put in my name and email add! I'm in my stressful stage because of my Board Exam and other problems, so I know that in this stage it's more than natural to look old and stress. It has been my worries and insecurity since my age doesn’t match to my skin. But I say, looking younger must come from within. It is profound pleasure which comes from peace and love and where healthy foods nourish the body. And I believe that Estee Lauder will help me to achieve clear and young skin to build my self confidence in handling any situation. Looking younger simply gives life to living life. Q: Want to look younger on your next birthday? Why? I can't believe I'm hitting 31 on my next birthday (which is soon!). I never had a perfect skin but I definitely don't look my age. People always think I'm younger. And as much as I want to earn the beauty product for myself to make me stay young, I can't, because I'm loyal to my derma's facial products at the moment. 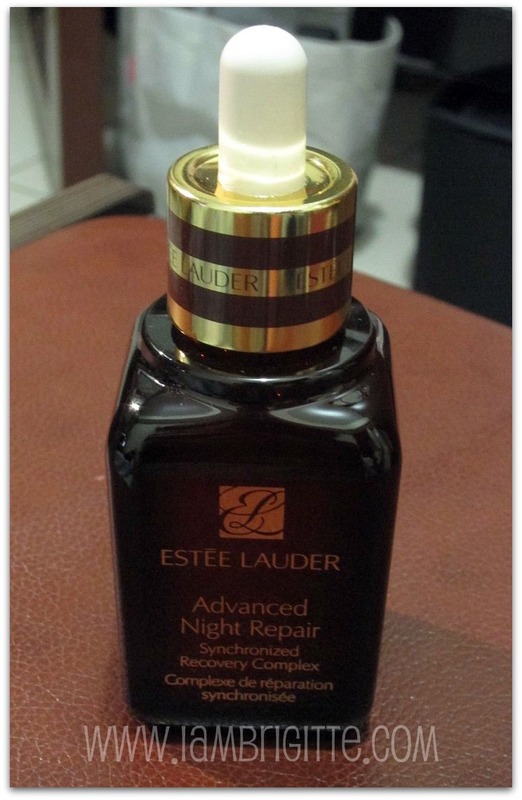 And with a good product like Estee Lauder, I sure hope that it, too, will create a miracle for her! As a mom, wife and employee there are a lot of challenging moments almost every minute of the day he he. You would need to juggle your priorities but always remember that family comes first. Given this demanding role in my life gives me fine lines and wrinkles in as early as 32. By the way, I just turned 32 last month and gave birth about a year ago. So imagine the sleepless nights while conceiving my first baby, being a first time mom, a wife and returning back to work after a year really made me a bit look older than my age :( . After a tiring day in the office, you would change your hat to being a wife and a mom of a one-year old baby. I had been very busy lately attending to my responsibilities that I tend to forget to take care of myself. I developed fats, fine lines and wrinkles, dark undereye.. name it I have it LOL. I don't see myself turning a year older when it's my birthday. You see age is just a number but you probably know that already. I try to think only of the happy thoughts that happened in the past year- how I am blessed with the people around me and the love that I was able to share online and offline. Another year means a new beginning, another chance to right what is wrong and to continue working on the dream that I have. I deserve to win one full-sized bottle of ANR because I always have a positive attitude and cheery outlook. I know you are now imagining the smile on my face whenever we see each other ; p Well, that's the REAL me- inside and out! My birthday is on November 9, and I'm turning 28! yay 2 years closer to the big 3-0! aww. I was never a fan of those beauty products before. Not until after I had my makeup done by YOU! I was moved by your comment that you like doing 'virgin' skin like mine. I then started to notice how good your skin was as compared to mine, and you're older than me! (hehe). Since then I silently followed your blog, and tried some of your tips! I would love to win because I recently changed industries from IT to the Ad industry and it is like starting from scratch. Most of my colleagues are around a decade younger than me and I don't want to appear like I can't keep up with them. I've got the years of experience but I don't want to look my age. I definitely want to look younger before my next birthday because that is this month! Winning this would be an amazing birthday present. And then one day, I felt more compelled than ever to maintain and retain my beautiful skin. Aging is a natural process of life, but I want to be like those people who don’t look their age. Why? Because I find that having nice skin yourself inspires other people to take care of their own. And the effect of having beautiful skin will trickle down to their lives, career, confidence, and self- esteem. Honestly, I’ve been getting a few bumps and lines lately, and as overacting as it may seem, I’m a bit troubled because if I lose the skin these people have come to love and adore, how can I be an inspiration? One particular moment I liked is when this mom member approached me during one of our breaks and brought with her a sheet of paper and jotted down my skin care recommendations and personal beauty routines. Man, she’s that serious! 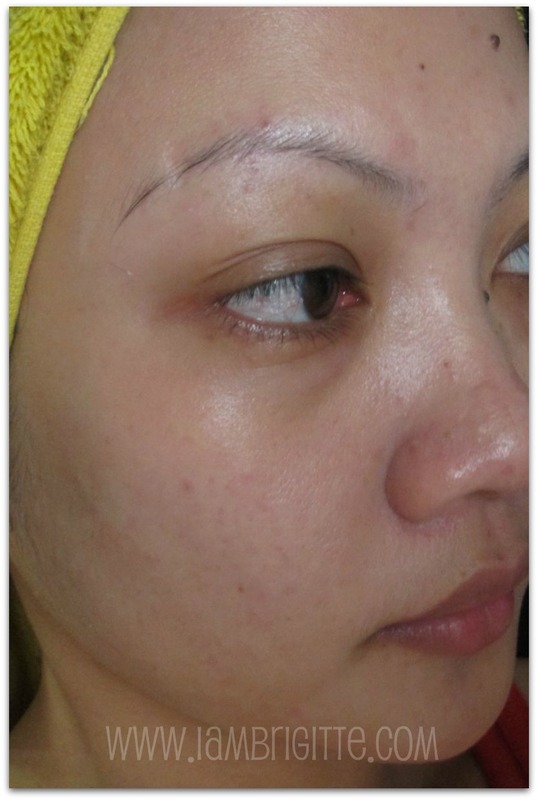 But I’m happy because after a few weeks, she approached me again and she happily reported that her husband has seen an improvement in her skin texture. There was a twinkle in her eyes–a twinkle of genuine happiness that she might have dropped somewhere along her journey in her family life. I don’t personally know her, but what’s important is I felt her happiness when she was reporting her results. And I felt really happy for her because on a deeper level, her musings appeared to me as if the flame of her love life is ignited once again. She and her daughter have become avid readers of my blog.